Bi-Fold Doors Kent is a child project of BiFold Doors UK Ltd, providing superior Bi Fold Door designs and other home renovation models throughout the UK. Here at Bi Fold Doors Kent, we’re dedicated to – you guessed it – the Kent region. So if that’s where you are, get in touch for stunning, life-changing installations for your home. 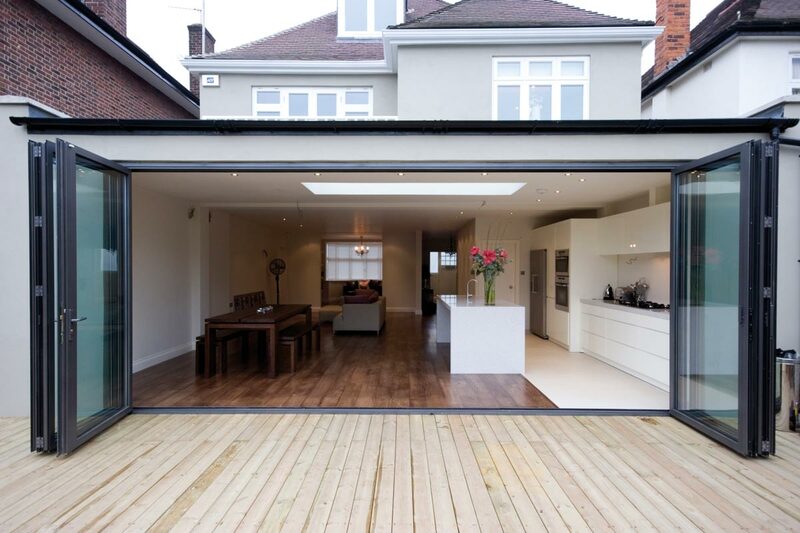 Bi Fold Doors Kent isn’t limited to just handing over your doors, or even installation. We’re in for the long game. So whilst maybe all you need is the product or the fit, which we’re more than happy to help with, some of you might need the whole job done – design, build, install and finish. If this sounds like you, you’ve found your team. Unbelievable aesthetics, stunning views, open-plan entertainment: the opportunities presented by our BiFold doors are numerous, but just how you make the most of them is up to you. Doors no longer need be just doors – they can be centrepieces to your home, that allow 90% viewing space and solar-adjusted glass. You don’t need to worry about maintenance with enduring, self-cleaning windows, and the slimline, sturdy aluminium material means quality won’t be sacrificed for style. These doors really are a feat of engineering combined with tech, and you won’t be disappointed with the finished result. And whilst we’re massive fans of the technology behind the product – we’re happy to talk about that all day! – the style of BiFold instalments are just as important to a lot of our clients. Which means we’re happy we can deliver on this aspect as well. If you’re not sure how to proceed, just send us a photo of the space you’re thinking of improving, and we’ll get back to you with suggestions of what might work. Everyone’s different, which means our experience over plenty of years can make all the difference in getting your job done right. We can get them to you. Just ask.